Once again, WPG is great to work with and has speedy delivery. This bag was ordered to carry my WW1 era cameras in and it is perfect! Good quality item, as always. Was surprised by the quality considering the price. Great leggings! I weatherproofed them with beeswax, and now I wear them on all outdoor excursions. I hiked Mount Rainier in them. No snow got into my boots, and they were praised by many of the folks I encountered. What Price Glory is one of the most efficient online stores I have come across. 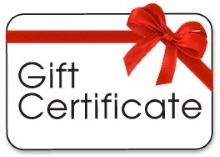 The inventory is great, the ordering easy, and the delivery was very fast. Thank you very much. The Musette Bag is great, very well made, and exactly what I wanted. 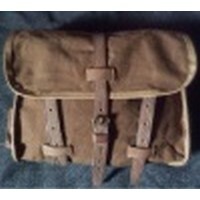 Ordered the British 1918 mussette bag. It shipped from UAE and arrived in the US in 2-3 days...very fast service and deliver. The quality is excellent for a modern reproduction. I no longer have to carry a bag for work but I do still carry more than my pockets will hold. This bag is distinctive and goes very well with my "retired look". Absolutely love this bag! I assume a 1920s-30s adventurer persona and this is perfect for my outfits, whether or not I am using my Sam Browne! The bag itself is durable and has a surprisingly large storage space inside. I was pleased to find the pair of center pockets to hold my smaller belongings, such as a phone and notepad. I also enjoy that I can just shake the beads of water off the outside when it rains, useful for Florida weather. Best quality thing WPG supplies in my opinion. Extremely satisfied! So this time around I ordered TWO just in case and am glad to be back in business ! I am afraid I found the Officer's Musette bag a bit disappointing in terms of quality. While it looks great, it did not fare very well with use. After just a day of (light) use as messenger bag for office supplies one of the metal bits broke. Not a catastrophic failure, but I was expecting a higher degree of workmanship. Something that would at least last for more than a day or two. The bag looks just like originals. Very nice shoulder bag for general use and travel. I saw an original in the US WWI museum and had to have one. Outstanding reproduction. Good reproduction of a very good bag design. Wide , adjustable strap is very comfortable. Bag is deep and wide, can hold a lot of stuff--even my 15-inch laptop. Clasps work well and buckle easily onto the repro Sam Browne belt. Had a few pen markings from construction (piece numbers, centering lines, etc.) Where possible, the people sewing the bags should take care these are put to the inside of the bag or erased. But I've seen originals with similar markings, so it doesn't bother me much. GREAT bag! Quality product, very well made. Besides its obvious, intended use as military kit, it is a great everyday carry bag, or, god help us, "murse." This bag is very roomy. I use these for small grab and go bags as well as for other things. Would buy again. It's just a quick update for anyone interested in this bag.I have been using mine on a daily basis as a man bag for exactly two years now. When I say a daily basis, I mean that it is always with me carrying my personal effects, camera,medication, beer...you name it. It still looks amazing. I did take the leather colour down a few shades and have added some waterproofing just to make sure. It's part of my everyday dress as my Akubra and Barbour are. I'm thinking of buying a spare. Great musette bag; it was popular at the recent WWI event in Pa. Very pleased. I really like this bag. Not sure I'd weigh it down much, but I can see the utility in it's design. Well done. Great bag except for some stitching on the leather at the front. I shall have to re-stitch it by hand. Otherwise exactly as I expected. Prompt service. I keep coming back. Great, well made bag. Looks identical to the one prominent in "Secret of the Incas"! Good quality and very attractive but check to see that side pouch button is securly fastened. Well worth the cost however. I have had an Indie bag, a Finnish Gas Mask bag and others but this is by far the best for day to day. It is durable but stylish and large enough for all my day to day needs. It is great to have a military bag that does not scream out "Military Surplus!" When I eventually got it back from the daughter and wife it has gone into daily service now as my manbag. It''s actually quite strong as well as looking good and can carry a load of milk and cat food etc that would break my other bags. Just don''t forget to remove the Webley before you get to the checkout lol. This is a superb item made of quality materials and one of the few sources of such an item as this. It would easily achieve a 5 but for two minor matters - the spring clips on the otherwise very tough bag are somewhat weak and prone to slipping sideways and the leather base is much too light a brown - easily rectified with a touch of mid brown leather dye and bootpolish. Great bag, looking forward to getting to use it at my next event! Very pleased with it Thanks! Fine quality bag. I'm very happy with it. Bought originally as a general day to day bag for trips out of the house, however upon it''s arrival I was pleasantly surprised at how good it was and it has now entered my living history kit pile. The pattern is very similar to my original (slight strap difference) and nigh on identical to a number of originals I have seen. The bag itself is rather well made and has endured a number of heavy burdens over the past few weeks. I''d highly recommend it. I didn't buy this for an exact replica, rather a general daily use bag, couldn't be happier with it, vastly higher quality than your standard army disposals type shoulder bags. I'm going to buy another to customize as a dedicated flyfishing bag. Can't finish without mentioning the SUPER fast international shipping, honestly the fastest parcel I've ever received from the States. Once again a great WPG quality reproduction. Have checked the detail with originals viewed on line and it is an accurate copy. Well done. Nice bag for the money however, mine arrived with blue ballpoint pen lines on the leather...had to be removed. Would have thought the maker would put lines on the backside of the leather for cutting out? Well made copy of this famous bag. It's nice to have something else for a chance then the standart mussette bag. The used leather looks a like it might damage easily, but time will tell. Cloth is not spot on, but sturdy and close enough to look the part. Not as bad as some cheap mussette bag copy's you see on the market. all in all a nice bag and happy with it. Okay, this bag is made from a tough cotton but not as thick and durable as canvas. The leather is soft. Sub dividers inside the bag. Not water proof but water resistant. Measures 33x33x12cm or 13x13x4-3/4 inches. Bigger than the pictures indicates. Big enough to carry a jumper, lunch and drink and the other items in a man bag. This bag would be perfect for a haversack or shoulder bag at uni or camping. If you want to make it more practicable I suggest changing buttons for press studs. Overall an excellent bag. Very nice well made item - already in use and well worth waiting for! Very nice bag, looks like originals I've seen. Canvas is nice and stout. The button holes and the tabs for the front closure strap are reinforced from behind with leather which is a nice touch. Leather bottom supple and shiny. The musette bag looks fantastic, as a matter of fact , I've already ordered another one. The shipping was super fast. This bag looks as good as an original I've seen. I was unsure about buying this bag but saw there were very few left in stock and nabbed one. Glad I did! This bag''s great. Beautifully made, very spacious, great construction. I plan to use it in a parade as well as for an upcoming trip. Good for both 20th and 21st Centuries. Charming bag, better laid out interior than I suspected, with pockets etc. Admired by two ladies I know , which must be a first . No complaints . Great War officer's kit is pretty much all privately purchased, so patterns and sizes vary enormously. This is a great musette bag, large enough to carry all the bits and bobs I need in the field or on the march. Rather handily the button rear pocket can take A4 pasds, so it's also good as a "man bag" for using every day. And I do! I recommend treating both the leather and the canvas to make them waterproof before you venture too far with it. You'll love this little bag. Better than expected! Shipping time is unbelievable! Will reiterate-- great customer service and quick ship. I have been looking for one of these for years to add to my collection! Excellent quality, plus fast and efficient delivery service. Thank you. Keep up the good work, guys.